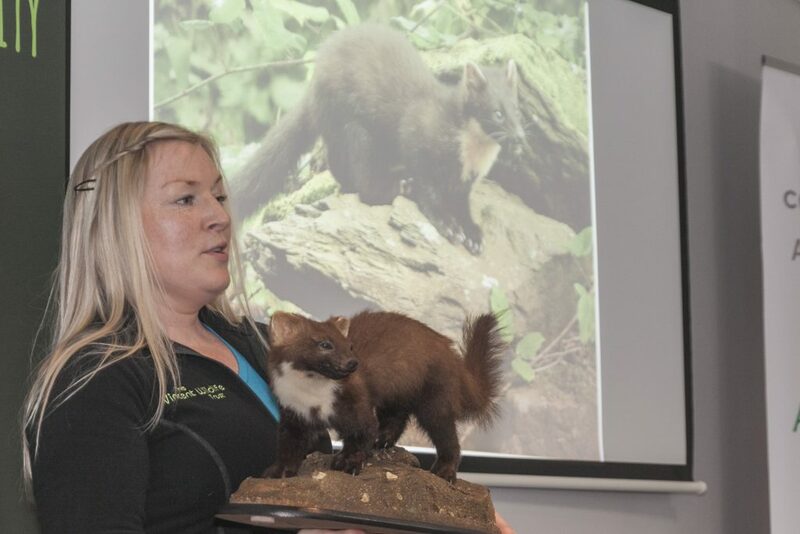 A new website was launched this morning as a one-stop shop for information on the pine marten, one of Ireland’s rarest mammals. The small native mammal has now entered the digital age as a the result of a partnership between Vincent Wildlife Trust (VWT) and the National Parks and Wildlife Service (NPWS). In the mid-70s, the pine marten was restricted to just a few areas, including the Burren in Co Clare and counties Galway, Kerry and Waterford. Recent studies, however, show that the species’ population has increased in range and distribution over the last 30 years due to legal protection and a ban on the use of poisons. Dr Kate McAney of the Vincent Wildlife Trust said that the idea for the website came about following a large bumb in the number of calls into both the VWT and NPWS from the general public seeking information and advice about the elusive species. 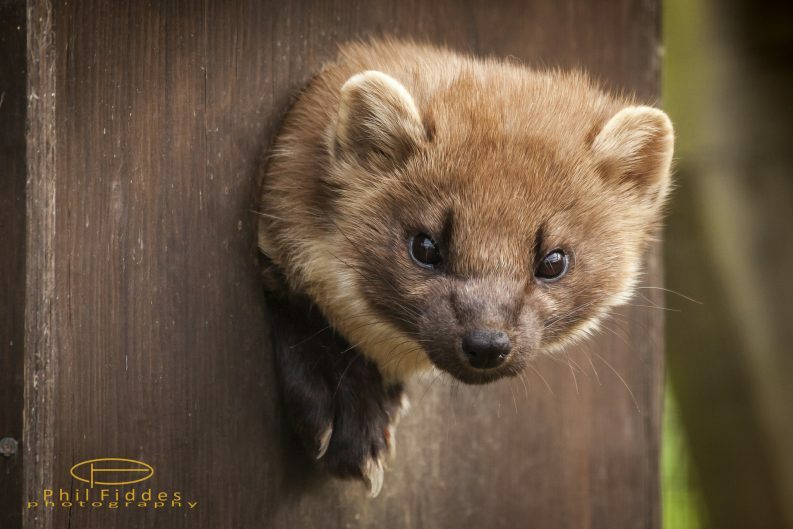 In addition to giving information on identifying the species and its habitat, the website offers practical advice on how to deal with a pine marten in your attic, where they have been found to seek out warmth and shelter. The website also presents videos on how to keep the species, not much bigger than a cat, out of pheasant pens, hen houses and wheelie bins. “Interactions between the public and pine martens are inevitable,” said Dr McAney as Ireland has a lack of suitable woodland for the species. “But we believe these interactions can be managed to the satisfaction of both human and marten, helped by access to accurate information,” she added. Dr Ferdia Marnell of the NPWS said that a lack of reliable information to date has been a “major obstacle to the conservation of the species” and that the website will “fill that gap”. The website also provides a dedicated node for journalists looking for up-to-date and accurate information and resources on Ireland’s pine martens. Pine martens were on the edge of extinction in Ireland before they were granted legal protection through the Wildlife Act in 1976. They have also been included in Appendix III of the Bern Convention 1979 and Annex V of the EU Habitats Directive 1992. This legal protection, combined with a gradual increase in tree cover in Ireland, has led to a slight recovery in the pine marten population. Dr Declan O’Mahony, a wildlife ecologist, estimated that there were about 2,700 pine martens on the island in 2012. Pine martens are omnivores, eating a range of food including berries, insects and carrion. They are solitary animals with large territories, meaning that their population never becomes too high. Due to their secretive and arboreal lifestyle their Irish name is cat crainn, meaning tree cat. A recent paper published in the journal Biodiversity and Conservation found that pine martens play an important ecological role in protecting native species such as red squirrels. The researchers found a correlation between the recovery of pine martens and a fall in the numbers of the invasive grey squirrel in Ireland.